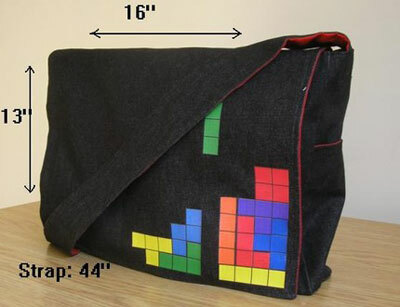 As you might expect from a company called 16 Bit, vintage gaming is very much the focus – with products like the Tetris messenger bag. It’s just one of a range that also includes PacMan and a Nintendo NES controller, all ideal for carrying anything from a laptop or daily essentials through to your vintage gaming collection (should you wish to carry on a theme). Two large pockets are available for storage, there’s a strap for your shoulder and the inside has a bright contrast fabric. Available for 16 Bit’s Etsy store, you can pick one up for $48, which is around £24.